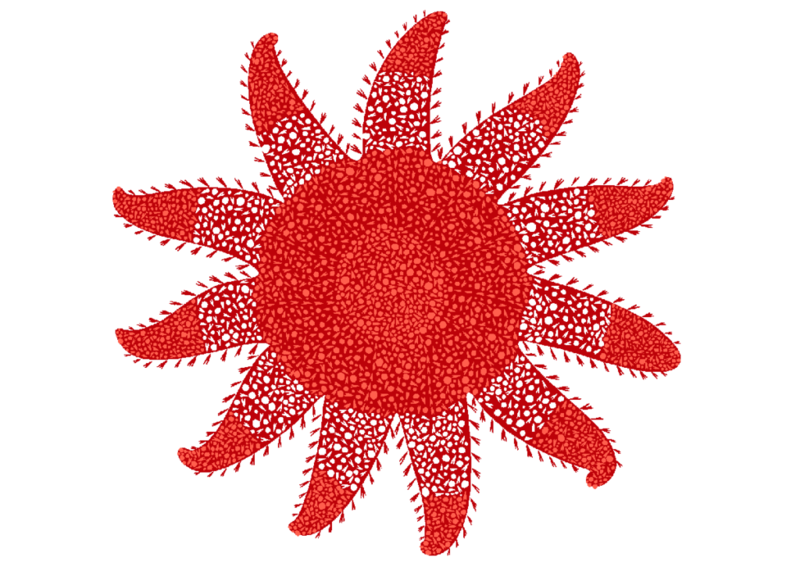 Just to prove that not everything living in our British waters is drab afterall, the Common Sunstar is here to brighten up your day. 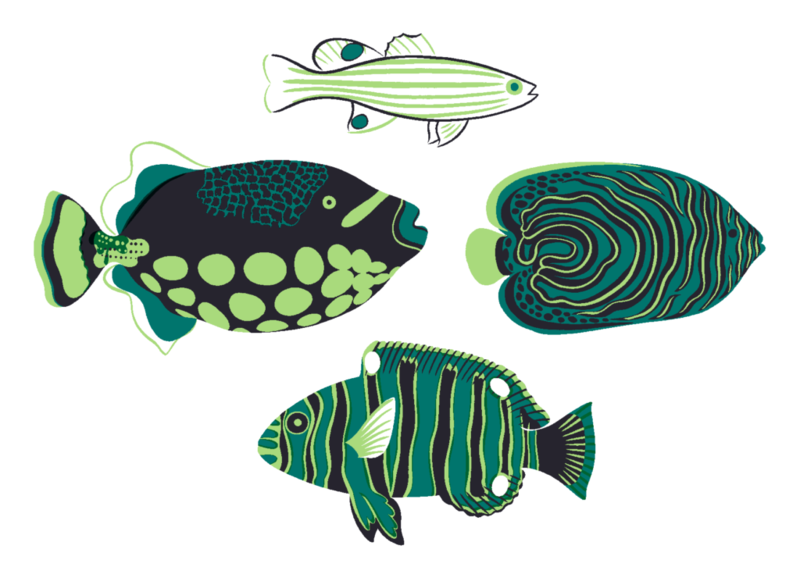 Phew- I’ve finally finished my Tropical Fish range! Now for the laborious process of proofing colours and making final checks before I can finally order some prints. Update: My completed Tropical Fish collection of greetings cards is now available to buy over in my etsy shop. 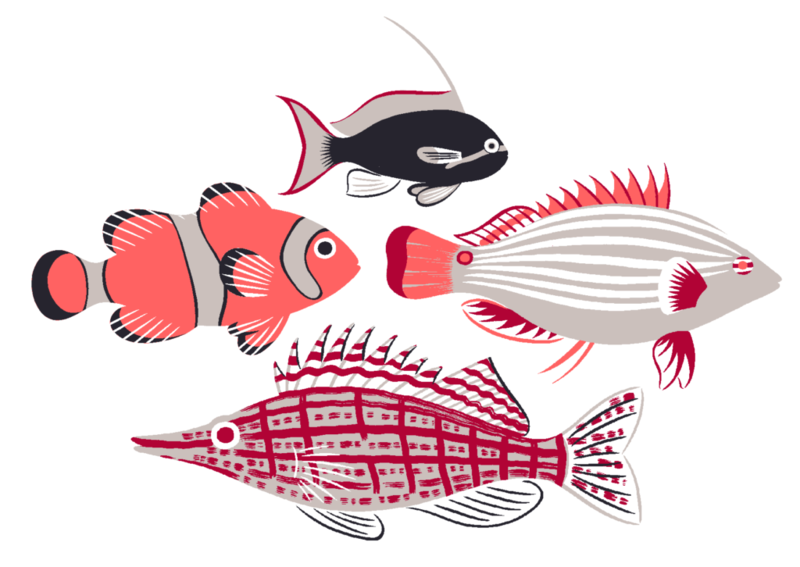 A few more fancy fish to see you through to the end of the week. Psst! Now available to buy in my etsy shop. 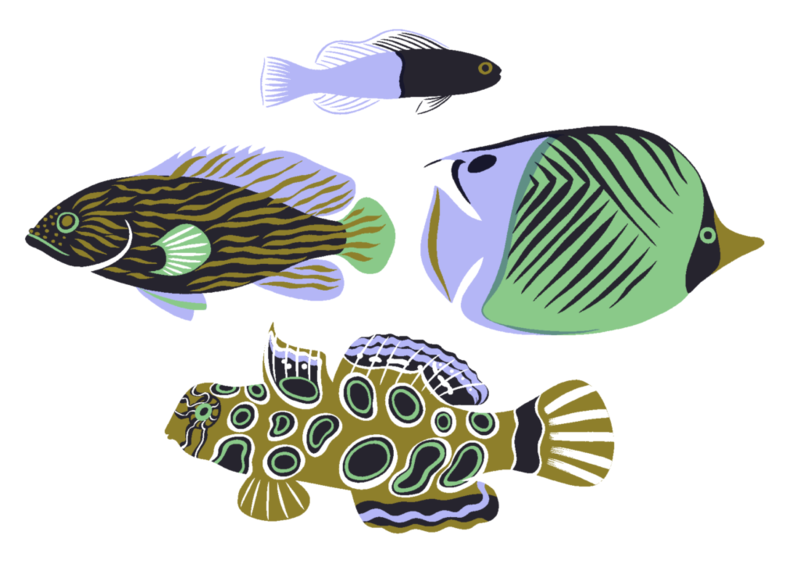 These glamorous-looking fish are part of my range of cards on Tropical Fish. I’m trying to be a bit more daring with colours and I’m quite pleased with how these have come out- hopefully others will agree. Update: This is now available to buy as a greetings card in my etsy shop.